How to select a good laser die cutting machine? When purchasing a laser die cutting machine, in addition to thinking about whether it can meet some basic demands such as cutting different thickness and materials, it is also necessary to summarize and consider many other factors. First, to make sure whether the laser die cutting machine meets the cutting requirements, such as the maximum dimensions of the processed die board, the material, the thickness of the die sheet that can be cut, and the max cutting area. In short, when selecting a laser die cutting machine, it should be based on the company's own processing technology needs. Laser die cutting machine that can properly satisfy the company's own processing level is the best choice. Second, the function of the laser die cutting machine, the cutting speed, high precision, high processing efficiency, and good cutting effect are naturally the first choice for us when purchasing a laser die cutting machine. Third, the stability of laser die cutting machine and if it can guarantee the quality and quantity of the customer order are definitely the basis for the purchase of stable laser die cutting machine. Fourth, after sales service. 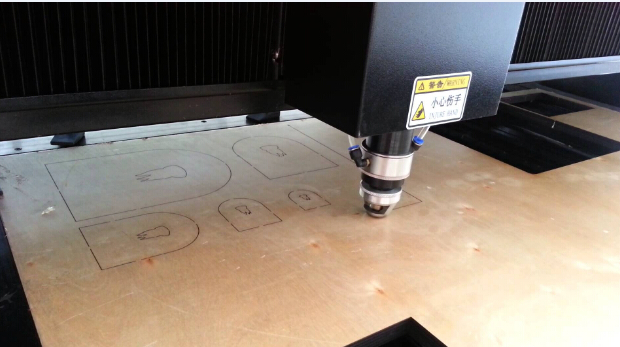 In the process of using the laser die cutting machine, it is inevitable that some problems will occur, so excellent after-sales service is especially important. Rather than selecting laser die cutting machine with low prices without perfect after-sales service,but selecting laser die cutting machine with excellent functions, high stability and excellent after-sales service.